The unique Volta Cocktail Table by Modloft is as functional as it is a conversation starter. 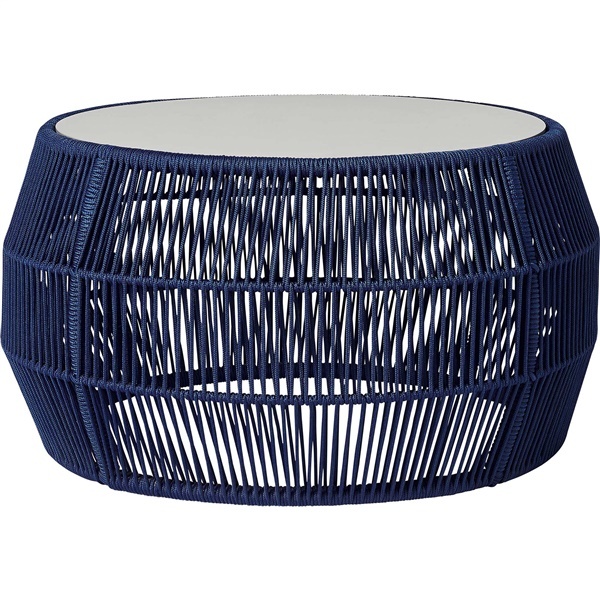 Its drum-like shape is wrapped in regatta cord, in your choice of color, to help resist the elements. Its ultra sturdy top is expertly crafted of super stone for a smooth surface for resting your stuff. Add instant modern design to your outdoor space.